Tollen Farm is a place of discovery. 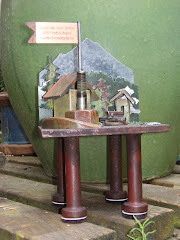 As you wander through the garden and the two shops, you'll find, Uncommon Treasures for your own home and garden. Included in the huge array of items are; arbors, benches, pots, metal garden pieces, wind chimes, bird houses, bird baths, glass vases, French milled soaps, antiques, assorted linens, scarves and jewelry on display. Enjoy the ambiance of the farm and be sure to take time to watch the lambs frolic in the orchard. Tollen Farm is a small working farm located in the heart of the Willamette Valley. Purebred Hampshire sheep have been raised here since 1979 and in 1998, the farm began raising and breeding Mediterranean Miniature Donkeys. Miniatures Donkeys LOVE carrots and petting time with the guests who visit this wonderful place.